Top 10 Best Slots for Women - Casino Answers! We here at Casino Answers don’t know a lot about women. If we did, life would be a lot easier. But we do know one thing – that like men, women like slots. Infact, we’re fairly certain if there was a third gender, they would like slots too. We wanted to know exactly what slots women liked best to produce this best slots for women list, so we sent out 32 surveys about what video slots women played most and compared it with 32 surveys we sent to men about which slots they liked least. We got the results in, tabulated the results, didn’t like what we saw and threw them away. We then picked names out of a hat to determine what slots were best for women. Without further ado, we present you with our list of the top 10 best slots for females. 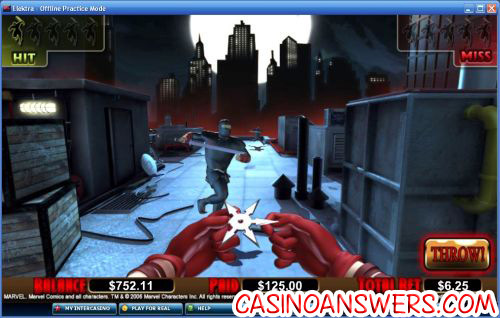 Be sure to click on the title of the slot to read a full in-depth slot review of the slot machine listed. Hot City is the perfect video slot for those shopaholics out there. It’s got love, it’s got romance, it’s got shopping and best of all – an Empire State of Mind! 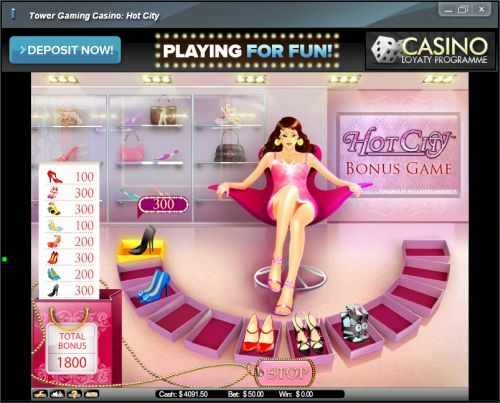 The video slot comes with an excellent top payout, lots of free spins that you can win and a shoe shopping bonus game. Who doesn’t love a man in uniform? The Hunky Heroes video slot is all about men in uniform, whether it be a lifeguard, cop, fireman or military man. Much like the male-targetted Sneak a Peak video slots, the Hunky Heroes slot game has a strip-tease bonus game where you can make one of the five hunks strip down to his underwear. 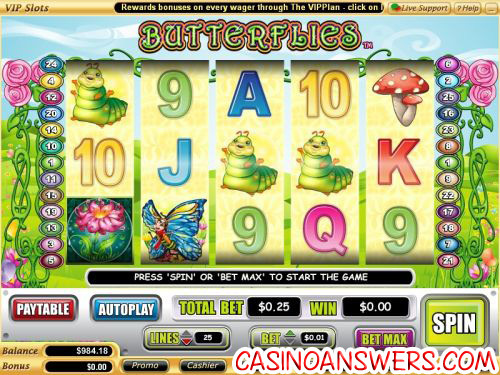 Featuring pink roses, colourful butterflies and a very vibrant looking colour scheme, the Butterflies video slot looks great. It has a unique special feature that converts symbols into wild symbols. Other than that, it isn’t packed with special features, but is still a very enjoyable video slot to play. 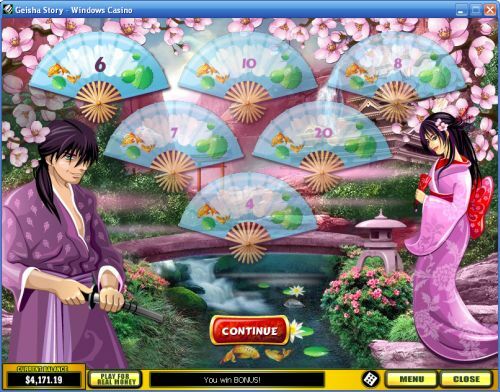 Geisha Story is a love story video slot that takes place in a geisha’s garden. Its pink motif gives it a very relaxing and calming feel. Features on this video slot include free spins, a bonus game and a Dollar Ball progressive jackpot, so there’s more than enough to cause that purse to overflow with cash! Every girl is a sucker for some good old-fashioned romance. True Love is an excellent slot for Valentine’s Day before you go out to your favourite fancy restaurant, sip a tall glass of wine and act surprised when your date has a gift for you. The True Love video slot does not have a bonus game, but instead offers a wild multiplier, free spins and a gamble feature, so you can win some cash before he wins over your heart. Elektra is probably the most kickass superheroine around. She’s got all sorts of sweet weapons, a mean temper and the grace that only a woman can possess. The Cryptologic Elektra video slot has a bonus game called Shoot the Ninjas where you throw ninja stars at passing ninjas. It’s one of the best bonus games of any video slot, let alone comic slots. If that wasn’t enough, the Elektra slot game has three progressive jackpots for you to win! The Shopping Spree II video slot is full of materialism and everything that makes the privileged world great. However, the theme is not the best part of the Shopping Spree 2 slot game. If you hit 4 Diamond Ring symbols with an x20 Sale symbol, you will win the progressive jackpot, which at press time was at well over $100,000! If that wasn’t enough, Shopping Spree II also features a bonus game and free spins. The Thunder Down Under video slot is based on the Las Vegas act called “Australia’s Thunder From Down Under.” The video slot has five different men with some very revealing photos as its game symbols. You can have some fun playing the Thunder Down Under slot game, but you can also win big with its 20 free spins with doubled winnings special feature. 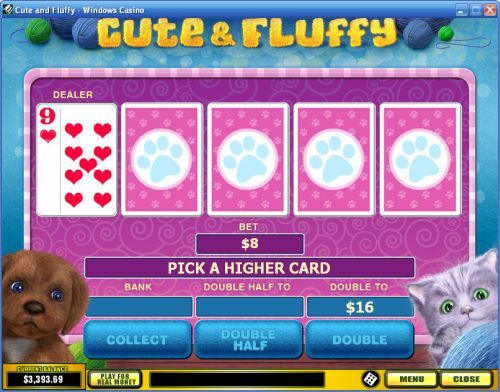 This adorable video slot featuring kittens and puppies is the perfect video slot for the women out there with a soft spot for the little companions. 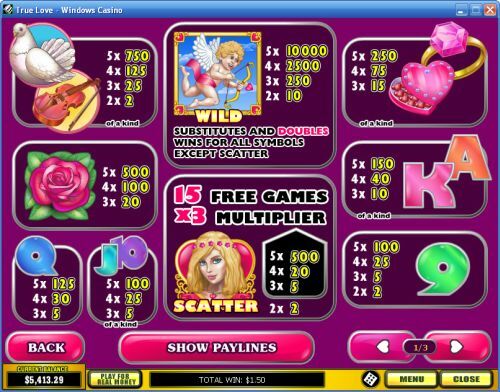 The Cute and Fluffy video slot has superb presentation with spectacular art and animations. You can win 10,000X your bet on the Cute and Fluffy slot game and there is also a free spins feature that you can trigger. Wonder Woman is arguably the most iconic female super hero in comics. Her mission is to bring Amazonian ideals of love, peace and sexual equality to a world torn by the hatred of men. It should be no surprise that Cryptologic’s Wonder Woman video slot is the most popular video slot among women! 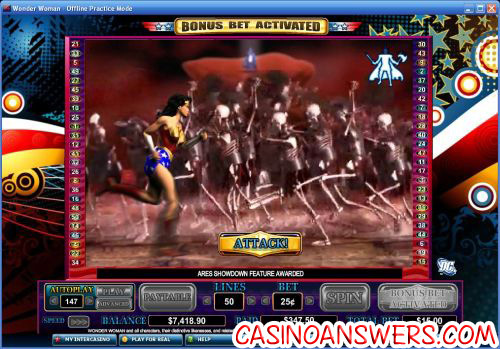 Features on the Wonder Woman video slot include a wild multiplier, free spins and a fantastic bonus game where you battle a horde of zombies! Honourable Mentions: For Love and Money, Doctor Love, Secret Garden, Enchanted Garden, Shopping Spree, Tomb Raider: Secret of the Sword.